by John Steinbeck Author · Richard Astro Author of introduction, etc. 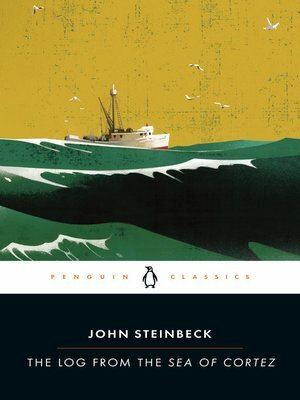 In the two years after the 1939 publication of Steinbeck's masterful The Grapes of Wrath, Steinbeck and his novel increasingly became the center of intense controversy and censorship. In search of a respite from the national stage, Steinbeck and his close friend, biologist Ed Ricketts, embarked on a month long marine specimen-collecting expedition in the Gulf of California, which resulted in their collaboration on the Sea of Cortez. In 1951, after Ricketts' death, Steinbeck reissued his narrative portion of the work in memory of his friend and the inspiration for Cannery Row's "Doc". This exciting day-by-day account of their journey together is a rare blend of science, philosophy, and high-spirited adventure. This edition features an introduction by Richard Astro.